Image via thedailygreen.comNative woodlands are a critical part of our ecosystem, yet they are increasingly disappearing. To educate students on the problem and to encourage protection, Camphill Village Kimberton Hills is offering a free, two-day workshop to area college students on watersheds and sustainable forest management. 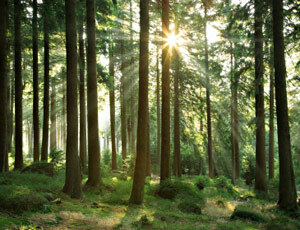 The Sustainable Forestry Management Program, funded by a grant from the Department of Environmental Protection, will teach students about watershed protection and forest management as well as provide experiential learning in how to identify and remove invasive species, plant seedlings, test soil and clear trails. The workshops will be led by Alice Dworkin, Camphill Kimberton’s estate manager, and Mike Dunn, owner of Preservation Tree and an International Society of Arboriculture certified arborist. Students can choose from three dates: Sept. 15-16, Sept. 22-23 or Sept. 29-30. The workshop is on both days from 9 a.m. to 4 p.m.
Space is limited and registration will continue until all spots are filled. Teams of students are encouraged to register. Students must be able to attend two consecutive workshop days. For more information and to register, contact Lyla Kaplan (lyla@camphillkimberton.org or 610-935-0300 ext. 12).